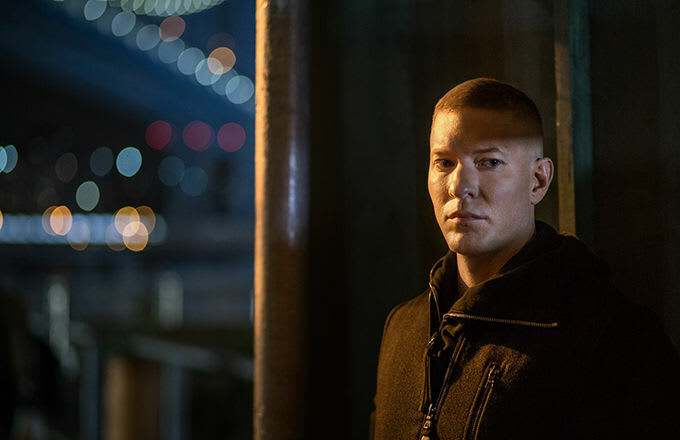 Joseph Sikora&apos;s first experience with acting ended in utter rejection. Granted, he was only 10 years old at the time, and it was for a local theater production of A Christmas Carol. But still: an actor never forgets. Thankfully, things have gone much better for the Chicago native ever since. After landing roles in high-profile projects like Jack Reacher and Martin Scorsese’s Shutter Island, Sikora is now a series regular on STARZ’s hit series Power—which is set to begin its third season on July 17. On the show, Sikora plays Tommy Egan, a man who is as charming and driven as he is volatile and ruthless. The actor recently sat down with Complex to discuss the show, as well as a number of other topics, such as what he&apos;d be doing if he hadn’t gone into acting and that time he worked security for Michael Jordan. I got into acting by auditioning for a play in Chicago called A Christmas Carol at the Goodman Theatre. I did not get the role but the casting director suggested that I audition for a play called The Little Prince at a small theater called the Touchstone Theater in the far Chicago suburb of Lake Forest. I wound up getting the lead role and from that point forward the demanding mistress of the theater had my heart. What was your first professional acting job like? Little Prince at the Touchstone Theater was an amazing experience and I ended up doing it two years in a row. It was incredibly consuming working with professional actors at such a young age. I was 10 and 11 years old, but I feel like I learned a lot the first year and was able to make my second year performance even better. What about Power first appealed to you? The first thing that appealed to me about Power was the exceptional writing of the show&apos;s creator, Courtney A. Kemp—and also the brother dynamic between Tommy and Ghost. What was it like auditioning for Power? It was a long process that consisted of five different auditions. Reread what I put on tape. I got notes and auditioned again on tape and sent it. The third audition was for Courtney&apos;s pilot director, Anthony Hemingway, and executive producer, David Knoller. The fourth audition was a chemistry read with Omari Hardwick and finally the fifth audition was a test for the network executives. Every audition was different; all of them were fun and thank God I got the job! What can we expect from your character in season three? In season three, Tommy really comes into his own. It is a coming of age story for him. But you can also expect what everyone has come to love about him—his volatile temper, his ruthlessness, and his swag. What is your best nightclub story? My best nightclub story is when I worked security for nightclub owner Billy Dec in Chicago. I was assigned to keep Michael Jordan safe and sound. It was an easy job because people were very respectful, and it was also incredible to get to be that close to a basketball God. What, in your opinion, is the best music to dance to? I&apos;m from Chicago. HOUSE music of course! What has been your best 50 Cent moment in the Power experience so far? My favorite experience with 50 was when he took Omari and I back to his neighborhood to show us the block where he grew up. He introduced us to some of his old friends; it was a real luxury, and was also important for developing the characters in the series. How does your character&apos;s personal style differ from your own? I love Tommy&apos;s clothes! He has an incredible amount of style, thanks to our brilliant costume designer, Frank Fleming. I wish I had that kind of style. I&apos;m more of a jeans and T-shirt type of guy. Also, I don&apos;t wear a watch. But we both love to eat! If I wasn&apos;t an actor I would be a fireman or a chef. As a little kid I always wanted to be an astronaut. Download the STARZ app to catch up on Power now, and don’t miss the Season 3 premiere on Sunday, July 17, at 9 p.m. on STARZ.